As the caste system fell away in Hormak, it was replaced by guilds. There were many of the same guilds as there were castes, but as time went on, some fell out of use and others were brought in as their technology and society adapted and progressed. The nobility is a good example of an old caste that has since fallen into a rather decadent antiquity in the face of the guilds that have arisen in Hormak to sustain the population and improve their lot. Nobles still, exist, however, just as while ancestry does not exclude any dwarf from being an official part of Hormak society, neither is it completely abandoned. Guildsmen refer to both male and female dwarven; Hormak does not differentiate between the skill of one gender over another, and values both equally. Nobles are still by and large only those of a "higher" ancient blood lineage, though as a Guild they have taken upon themselves the general municipal duties needed in Hormak. They are not the ruling class by any means, but part of a Council, where every Guild is represented, and they must come to an accord between all the Guild representatives to make any drastic changes. The day to day issues, however, are mostly left up to the Noble Guild. They handle much of the municipal running of Hormak—ensuring laws are fairly created and upheld, organizing meetings for Guld Masters and for average citizens have their greivances be heard alike, overseeing the creation and maintenance of a postal system, voting on various denominations and faces of currancy and phasing out old ones when appropriate, etc. Internally, they have debated back and forth renaming their Guild, many of them wanting to move that final step away from the old caste names to something more fitting to Hormak society, but there are a few that still cling to old decadence. There is some talk of creating a few positions within the guild to focus on the needs and desires of different sections of the city as representatives of the citizens there, but nothing formal has been put into motion yet. These are highly learned dwarves that are forever questioning and trying to figure out either how something works the way it does, or how to make something new. Their focus is on coming up with and either affirming or disproving theories and hypothesis, and also explaining things as factually as they are able. 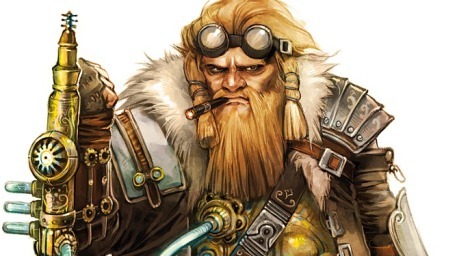 They have learned through a long history of trial and error over the centuries that Hormak has been isolated from the rest of dwarven society, and have not only survived, but thrived in this environment. This is a Guild brought about somewhat later in Hormak's history, rather than at its earlier onslaught of advancing technology, and are viewed by many other non-guild members as an odd combination of old superstitions and new geniuses. They have a strangely intuitive and strong connection to the new and different ores— and subsequent metals— used to make the Hormak engines and automatons, and serve to refine the ideas Empiricals dream up into realities, for what is metal but highly worked Stone? In their innate connection to the metals, they are sometimes regarded as having strange powers over the machines they create and service when a mere Engineer could not suffice— at times breathing artificial life back into machines thought lost causes— but they are so wrapped up in their love of their machines that they do nothing to dissuade or encourage such notions. They were once only part of the Engineers Guild, but have since broken away into their own after going through refinements in their abilities and skills. 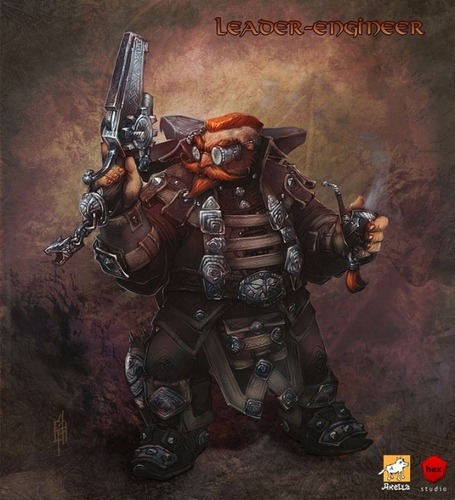 These dwarves work as mechanics for both Empiricals and Mechanists, servicing broken-down machinery and equipment, and doing much of the initial assembly of nearly all the machines in Hormak. They are the ones first called upon for service, and only where they fail are the Mechanists brought in. They also are the ones who deal most closely with the power generators and functions within Hormak. The Guild of Excavists has for the majority replaced the Miners of the old dwarven caste system. Excavist Guildsmen are now the ones who foray deep into the rock, drilling and excavating for more and different ores. With new machines on hand, they are able to be more discerning about what type of rock they are drilling into, and therefore have remarkably less cave-ins than their predecessors and ancestors experienced while digging through the earth. They are also able, once they have determined what type of rock and ore they are drilling into, to go at greater speeds than miners ever could have, propelling the rate of industriousness for Hormak well and beyond what it ever had been before. Yet, still, they are careful not to upset the Deep Roads themselves, oftentimes going well out of their way to avoid where the Roads still lay open. The Smith Guild has remained very much as it was when it was still a societal caste, though in addition to hand forging pieces, a large sect of smiths are now devoted to making cast moulds for a higher volume of accurate metal part creation. As they were better and better able to keep the darkspawn at bay, and quickly realised they needed to rely on one another and not create civil wars within the walls of the only thaig they were able to call home, the ancient and respected caste of warriors soon fell out of necessity. Soldiers, trained in both hand to hand combat of old, plus in the new projectile weaponry the Empiricals were developing every few years, replaced warriors in both battle situations and civil peace. They act in both the field of war and in keeping internal fights from getting out of hand. They are trained individually and as a group, to more efficiently fight any new darkspawn threats, and to better maintain peace in the insular thaig. The Artisans Guild is still one that promotes the creation of art for adornment or merely art's sake, and many Artisans work on a commissioned basis, as they cannot sell their creations to any outside of Hormak. However, this does not seem to bother them— the Artisans are quite happy to produce art requested and detailed by their fellow dwarves within Hormak— from the Nobles and Empiricals down to the Miners and Servants. They are even willing to barter goods or services for their work rather than always demanding currency. 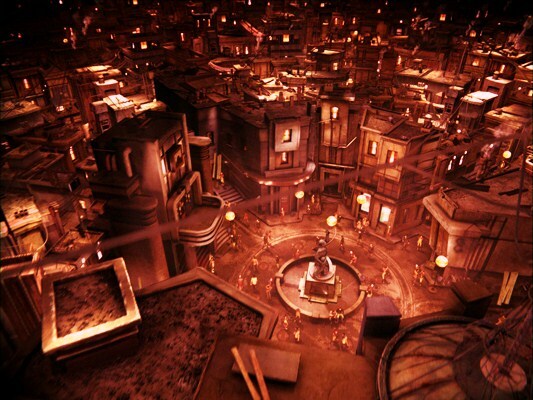 The merchants in Hormak obviously cannot take or bring anything from any other thaigs or the surface world, and so act as an intermediary between the different Guildsmen and the regular citizens of Hormak. They make sure citizens are not being overcharged, and also that the Guildsmen who provide the service or product is fairly compensated. It was originally thought that this caste-turned-Guild would quickly fall out of favour and use in the new trending society, but they have instead become an integral part of maintaining good internal relations between the inhabitants of Hormak. 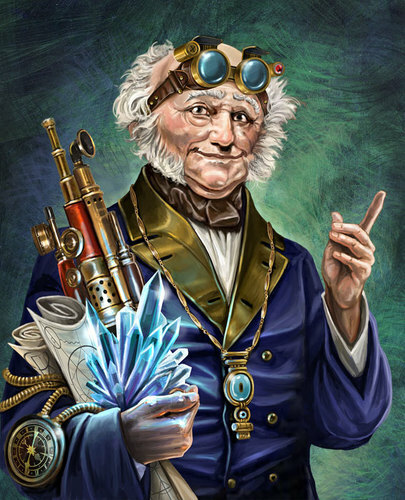 The Merchant Guild prides itself on its high standards of conduct and maintaining of quality, and many within the Merchant Guild also shadow or even study for a short while in a differeng Guild of choice to better differentiate the subtle differences between good quality of a product and shoddy quality. In other thaigs and in Hormak's past, there are the casteless and, in Orzammar, Dusters. Since being separated from all other thaigs, however, those wanting to survive in Hormak could not allow such a waste of good dwarven talent, whatever it might be, simply for the sake of not being born into the "correct" family. Thus, all the casteless and all the drifters in Hormak became Miners, if they were not suited for another Guild. As Excavists took over the old miner caste duties, those in the Miners Guild became the everyday workers for the Excavists, much as the Engineers work for Empiricals and Mechanists. While nobility and class status is much less of an important issue in Hormak than in the remaining thaigs— Orzammar in particular—there is still a need for Servants. These are the cooks, the janitors, the messengers and errand boys or girls, the little jobs that are utterly necessary in a society, but not monumental in it at the same time. It is unique among the Guilds as it is very much a "rotating staff", so to speak, where there is not always an apprenticeship (except for some of the more skill-based jobs, such as cooks), and no Guildsman is truly expected to stay within the Guild their entire life. Most, if not all, of the regular citizens of Hormak have served in this Guild at one time or another, either out of requirement or because they actually enjoy what they did. Much like in the Nobles Guild, there is great discussion into changing the name into something more fitting, though the discrepancy in this Guild is more of what name is most appropriate, rather than that of the Nobles who cling to old traditions. all images do not belong to anyone but their creators unless explicitly stated otherwise. original hormak conception is part of the Dragon Age universe owned by Bioware, and this site does not claim any legal rights to any of that content. this is a fan-based creation purely for the enjoyment of playing in the sandbox Bioware has created, with no intent for financial gain or anything other than for personal entertainment use.